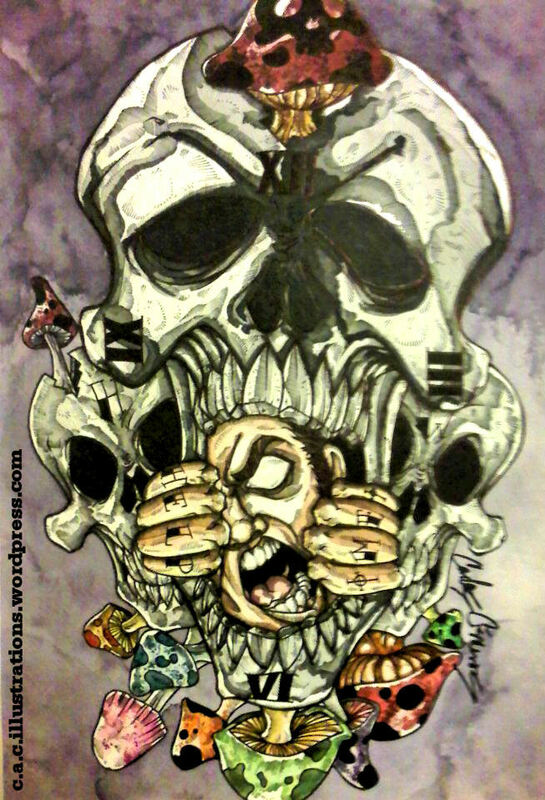 This entry was posted in Artwork and tagged ballpoint, drugs, help, mushrooms, pen, shrooms, skulls, time, watercolor. Bookmark the permalink. Thank you. That depends on the day, I can grow a beard that easily adds 10 years. Thanks again!